Installations of fibre to the premises has started in Jersey, with the first 24 homes connected and more being added daily now. 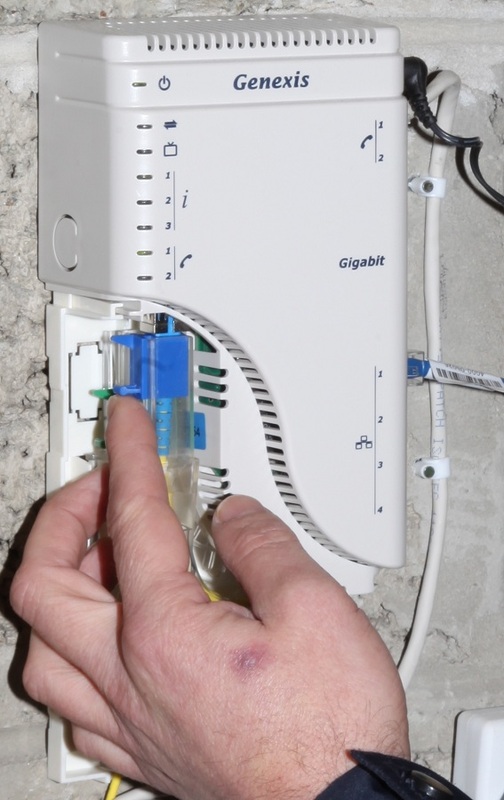 The trial is running in the La Rocque, Fauvic and La Moye areas of the island, and will once launched as a full service serve some 42,000 homes and businesses connected to a full fibre network. The level of demand for the service can be judged by the fact that some 350 applications had been received for the three month trial within the first 48 hours. 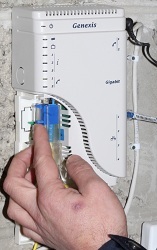 Over the next few weeks another 500 households should get connected to the service. "It makes a considerable difference when streaming TV programs over the internet, as the pictures come up immediately, there is no need to wait while the 'buffering' takes place. I am currently getting a download speed of '50Mb' and an upload speed of '40Mb', which makes it so much easier to work with pictures, or to use more complex websites." The trial will give customers at least a doubling of their speed, with some homes being provisioned with a full Gigabit service. The roll-out in Jersey is unusual in that the copper local loop is being removed as they pass properties, with telephone and broadband delivered solely via fibre. This is what can happen when JT is the sole supplier? Have they got different service obligations for telephony availability than here on the mainland? An argument certainly could be had that this was possible only because of JT being the infrastructure owner and sole ISP on the network. Sure, lots of ISPs has pushed the price down in the UK but we are now in a situation where by a large part of the UK are unlikely to see any significant improvement even with BDUK funding because the revenues simply are not there. "There are some conditions that come with the government investment, ..., ensuring access to the fibre network is available on a fair, equal and auditable basis." Reduce the return from wholesale, and investment in the new network might have been less likely. Also how much competition can a fairly small population support? Competition is sometimes over rated, in the main it drives prices down, but only occassionally drives forward the QoS. @themanstan - Actually, I'd say for a small island, thus with a much smaller economy of scale the prices are reasonable. Plus it is genuinely unlimited. When you have a smaller userbase you probably also need provision proportionally more bandwidth per user as it'd be much more plausible for a large proportion of your user-base to start using their connections simultenously. I'm not saying the unreasonable for the location. Just it provides figures that are realistic for provisions to small isolated communities.